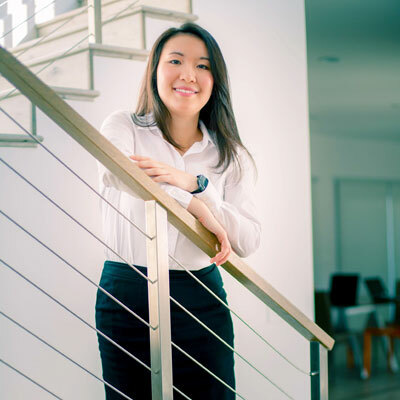 Esther Chow is senior manager, strategic alliances at Laserfiche. Starting as an account manager at the company, she was quickly promoted to Midwest district manager and then regional manager for the Midwest, Central West and Texas, which achieved a 63 percent growth in revenue in one year under her leadership. In 2017, Esther assumed her current role overseeing strategic partnerships across the United States while continuing to manage the Midwest region. Throughout her tenure at Laserfiche, she has fostered productive relationships with VARs of all sizes, giving her deep insight into resellers' needs. Today, she creates curriculum and hosts product trainings for Laserfiche partners and works closely with resellers in developing nationwide sales campaigns to increase product awareness. Esther has been a driving force in advancing Laserfiche's channel business through her personalized training and support; with an acute understanding of Laserfiche products and customer needs, Esther has cultivated some of the most successful VARs in the channel. This past year, I've been focused on training and education for existing Laserfiche VARs, resulting in VARs in the Midwest seeing double-digit revenue growth from selling Laserfiche software. The top two resellers in the Midwest grew in revenue by 34 percent and 12.6 percent from last year. An additional reseller experienced 102 percent growth from 2016. These successes are a testament to the amount of time and effort we invest in our resellers, facilitating their adoption of Laserfiche and solidifying their understanding of the product. We are also continuously educating their technical and sales staff in product positioning in order help them uncover new business. It is essential for us to continue providing excellent training resources that go beyond the product, but also include education about our brand, various markets and industry trends - which are constantly evolving - so that we can grow Laserfiche brand awareness and position our VARs for growth. This year, I'll continue to train and educate our channel so that resellers are not only product experts, but also brand evangelists who feel empowered to confidently onboard new staff, introduce new solutions and enter new markets. We currently make significant investments of time and effort in our VARs, and remain dedicated to providing ongoing training. I've also recently implemented a weekly sales training session for internal staff, to enable them to better guide VARs, and empower them to drive strategic efforts. It also reinforces the idea that providing tools and guidance is imperative to Laserfiche and our VARs' success. I was named one of CRN's 2017 Women of the Channel. Additionally, I was named one of CRN's 2017 Up-and Comers. I work with two women I greatly admire. Catherine Wilson is Laserfiche's director of analyst relations and partnership, and I learn a lot from her communication style. She's responsive, always follows up and adeptly navigates various relationships with dealers and partners. People enjoy doing business with Catherine because of her professionalism and expertise, yet she remains extremely approachable. I also admire SVP of Sales Hedy Belttary. Her diverse experiences have given her a unique perspective on the channel; I'm appreciative that she takes time to answer any question we may have, and invests in fostering our team's leadership skills. I would tell myself to identify what it is that I want to accomplish, and then put in the work necessary to get there - and then keep working. Success is directly correlated to hard work. It's important to know what your goal is and then stick with it - don't jump around. If an achievement is worthwhile, it often takes time, dedication and persistence. One skill I would like to master is the art of programming. I've always had an objective mind and I love creating something out of nothing. Additionally, knowing the backend and understanding the architecture of products would enable me to talk to IT professionals at the same level that they communicate. It would be an impressive, strategic skill to develop as a salesperson. "Start With Why" by Simon Sinek. Sinek teaches readers to first identify the desired outcome in all that we do. Professionally, this helps identify what motivates people - an extremely useful skill from a management perspective. By starting at the end and asking, "Why?" a manager can create a roadmap to help mentor employees toward their goals. This strengthens the relationship between manager and employee, fostering a culture of mutual success.